Almost 40 years removed from the start of his tumultuous career, Lou Reed has garnered the potentially dubious distinction of “living rock legend.” While the tag implies membership in a glamorous fraternity of distinguished artists, it can just as easily reference an elephant graveyard containing the barely-animated remains of artists either receding from the public eye into relative obscurity, soldiering on despite laughably declining vocal prowess, or in some way compromising themselves in a desperate groping attempt to needlessly pad both résumé and bank account (say it ain’t so, Bob). But while there’s something to be said for knowing when to walk away, you have to begrudgingly admire artists who seem intent on having their death rattle amplified through a sweaty microphone. Fans of the bedraggled Velvet Underground-era Lou Reed beware: Animal Serenade contains very few moments of the unsettling junkie rock that made Reed such a mesmerizing talent. In fact, his contemporary persona establishes him as an icon of the over-the-counter culture more than anything else. His performance here relies far too heavily on the latter half of the album’s title and not nearly enough on the former, trotting out a more subdued, kinder, gentler Lou. He even performs the Velvet Underground song “Heroin” (arguably one of the most enduring and excruciatingly honest drug odes ever written) sans the manic thumping drum, effectively removing the heart of the song on every metaphorical level imaginable. In addition to “Heroin,” several other tunes from Reed’s early career are represented here and, for the most part, they’re too slick and polished to recreate the power they once possessed. He has surrounded himself with such an incredibly talented supporting cast that the grittiness of his voice and lyrics all but clash with his band’s impeccable musicianship. In another counterproductive move, Reed turns over many of his vocal responsibilities to the vibrato-prone Antony (yes, just Antony—like Prince or Madonna), eliciting mixed results. In “Candy Says,” the delivery of Reed’s occasional “pinch hitter” evokes shuddering thoughts of Peter Cetera sitting on a washing machine (especially in contrast to Reed’s rough-and-tumble vocal approach), contributing even more to the unsettling notion that Antony has been hired by Reed himself in an attempt to dress up a few of the songs. Unfortunately, what you get is a made-for-VH-1 movie where the character of Lou Reed is grossly miscast as Five For Fighting’s John Ondrasik channeling Aaron Neville. Even with its occasional faltering, Animal Serenade isn’t an outright failure by any means. Reed’s oddly emotive voice works on “The Bed” and “Set the Twilight Reeling,” and his biting, coarse lyrics hit as hard as ever on “Small Town” and “Dirty Blvd.” The album triumphs when Reed is most prominently featured, warts displayed unabashedly. While these moments of revelation are somewhat scattered and often intruded upon, there are enough of them to keep Lou Reed enthusiasts happy. The best Lou is the fearless Lou who isn’t afraid to put his voice and words (and neck) out there, dredging up mental images of a filthy New York City underground. 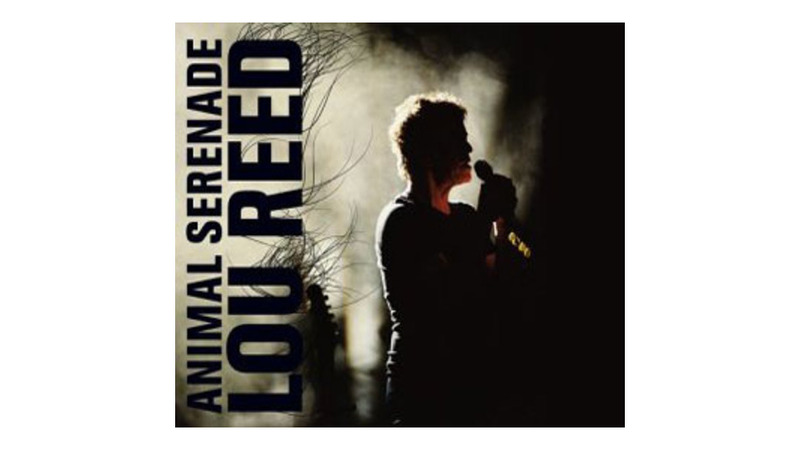 Unfortunately, Animal Serenade still comes across as a less confident Lou Reed, one who’s forgotten what it was that called us to venture into the gutters with him all those years ago.